His appointment will be effective from April 1, 2019. Following his appointment, Francisco D'Souza, who co-founded Cognizant and has served as CEO since 2007, will serve as full-time Executive Vice Chairman. Information technology company Cognizant has announced that it has named Brian Humphries, currently the CEO of Vodafone Business, as its CEO and a member of the Board of Directors. Humphries' appointments will be effective April 1, 2019. Following Humphries' appointment, Francisco D'Souza, who co-founded Cognizant and has served as CEO since 2007, will serve as full-time Executive Vice Chairman to facilitate the transition through June 30, 2019. Thereafter, he will remain on the Board as Vice Chairman. As CEO of Vodafone Business, Humphries has been responsible for its global enterprise, consisting of all business-to-business fixed and mobile customers, as well as Vodafone's Internet of Things, Cloud-Hosting, Carrier Services and Security Solutions. Vodafone Business is part of Vodafone Group, one of the world's largest telecommunications companies. During his time leading Vodafone Business, the division accounted for nearly a third of the Vodafone Group's service revenue with approximately €12 billion in sales globally. Humphries previously held leadership positions at global technology leaders Dell and Hewlett-Packard. "With a strong track record of success across different companies, cultures and roles, Brian is the right executive to lead Cognizant and build on its 25 years of growth, success and innovation," said Michael Patsalos-Fox, Cognizant's Chairman of the Board. "Our industry is entering a dynamic new growth stage. Brian is a broadly experienced technology executive with a proven track record of driving enterprise-wide transformation through focused execution, often in challenging and highly competitive market segments. Brian brings a global perspective and a keen knowledge of our businesses and the technologies with which we innovate. We're confident he has the ideas, energy, ambition and insights to extend the remarkable track record of success under Frank's leadership." "It is an honor and a privilege to join Cognizant, which has been at the forefront of the digital revolution – driving innovative and transformational change for many of the largest enterprises in the world," said Humphries. "Cognizant is renowned for being laser-focused on its clients' needs, developing business solutions and services that help clients position their companies for the future. I look forward to building on the great work and collaboration Cognizant has with clients, the development of innovative solutions and its operational execution and strength. The opportunity to lead Cognizant is an exciting one." D'Souza said, "During my 25 years at Cognizant, including the last 12 as CEO, and the last seven months as Vice Chairman, I've had a bird's-eye view of the world-changing technology revolution that is reshaping how we work, live and play. Cognizant has been fortunate to play a leading role in that transformation. While I have enjoyed serving as CEO, I believe this is the right time for me to step aside and for the Company to name a new leader to build on the strong foundations we've created and take Cognizant into the future." D'Souza added, "The Company has the strategy and people in place to continue to deliver innovative technologies and solutions that help our customers realize their full potential in a digital world. I know Brian will help Cognizant deliver on its commitments to our clients and continue to build value for our shareholders. I am committed to continuing to support Cognizant as we make this transition and beyond as Vice Chairman of the Board. I want to thank Michael Patsalos-Fox and our fellow Board members for their support and my many colleagues for their engagement and hard work, which have made Cognizant the success it is today." 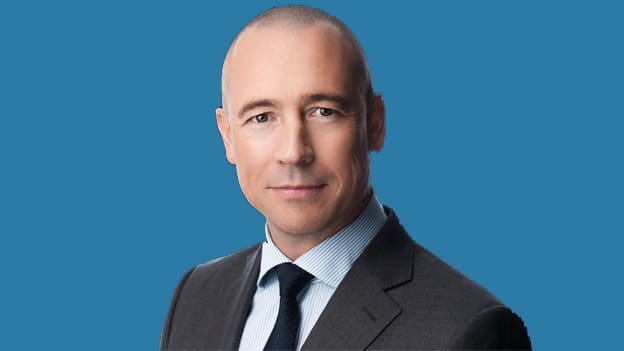 Brian Humphries joined Vodafone from Dell where he most recently held the position of President and Chief Operating Officer of its Infrastructure Solutions Group, based in Boston and Geneva. Previously, he was President of Dell's Global Enterprise Solutions, a group with approximately $15 billion in revenue, and before that he was Vice President and General Manager, EMEA Enterprise Solutions. Before joining Dell, Humphries was with Hewlett-Packard where his roles included Senior Vice President, Emerging Markets; Senior Vice President, Strategy and Corporate Development; and Chief of Staff to the Chairman and Chief Executive. He also served as Chief Financial Officer of HP Services. The early part of his career was spent with Compaq and Digital Equipment Corporation. He received his Bachelors of Business Administration with Honors, from the University of Ulster in 1996.